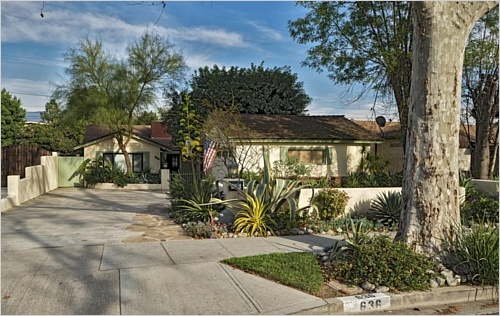 Totally remodeled Executive Home approximately 1700 sf on a giant street-to-street 12,000+ sqft lot. 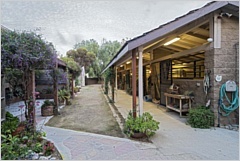 Spectacular 4 stall + stall-equivalent tack room horse barn with turnout, tack sheds, greenhouse, 3 patio outdoor living areas, and stunning saltwater black bottom swim spa with waterfall! Kitchen to-die-for plus gorgeous Master Suite including luxurious steam shower. Gorgeous corner fireplace in massive Great Room. 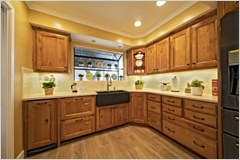 Custom built-in cabinets everywhere. Splendid private OFFICE with custom shelving and storage. Massive walk in Butler's Pantry (former half bath, still plumbed). An oasis in the heart of the Burbank Rancho just a slingshot from downtown Los Angeles, all the studios, and all the jobs! Walk to shopping, restaurants, Disney, and everything wonderful about Burbank. 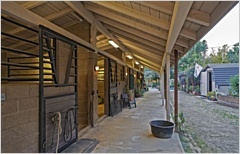 Ride the Griffith Park Equestrian Trails at the end of the street. Horse Owner's Heaven! Stables with top horse features! Plenty of space for trailers and toys! Large concrete drive in front, giant gate and trailer/horse access in rear. 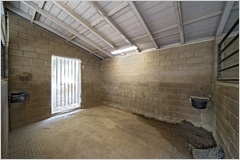 Horses can enter front or back with ease and relative privacy. Address: 636 S. Mariposa St.